Recently, while riding the new 2019 Honda CB300R, I stopped and thought to myself how great a time it is to be a new motorcyclist. The field of entry-level motorcycles is stacked, with options to satisfy nearly every desire, whether you fancy a sportbike, a cruiser, or anything in between. Better still, nearly every manufacturer is building entry-level motorcycles at price points those on ramen diets can actually pay off – maybe even before they graduate. This got me thinking: Just how much motorcycle can a person get for under $5000? We’ve done similar lists before, but never with a cap so low. Plus, since affordable models are popping up frequently now, we thought it best to revisit the subject. So, borrowing the Forbes Magazine idea of the Top 30 Under 30, wherein they highlight the top 30 leaders, entrepreneurs, and stars under 30 years of age, we bring you Motorcycle.com’s Top Five under $5000. 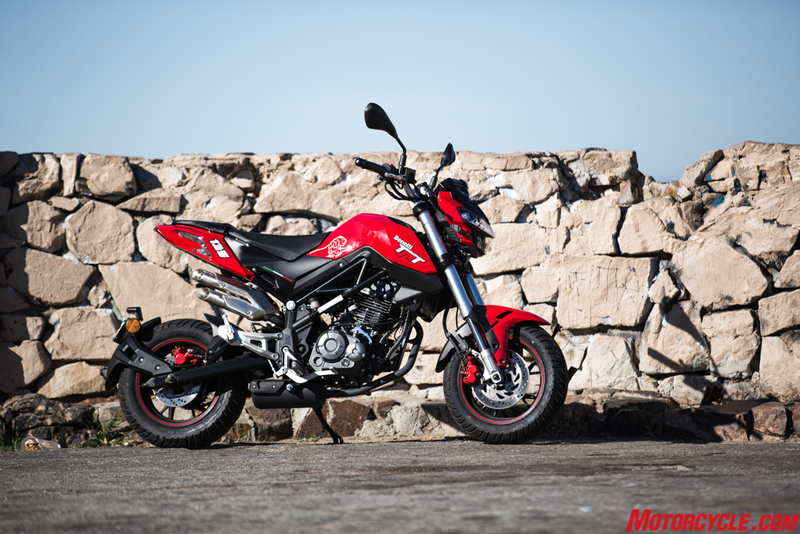 If a fun city runabout is calling your name and you have no need to hop on the freeway, you’d be hard pressed to do better than the Benelli TnT135 (assuming there’s a dealer near you). Cut from the same mold as the Honda Grom ($3399), Kawasaki Z125 ($3399), etc., the 135 is not only less expensive than the Honda and Kawi, but we’d argue it’s a better motorcycle, too. Its 135cc engine is not only bigger than the Grom and baby Z by 10cc, it also features twin spark plugs and four valves. Better still, it also has a five-speed gearbox compared to the four-speeds on the others. Add in the handsome design clearly “inspired” (some might say stolen) from the MV Agusta Brutale, and you’ve got a cool little machine that packs performance and won’t put much of a dent on your wallet. 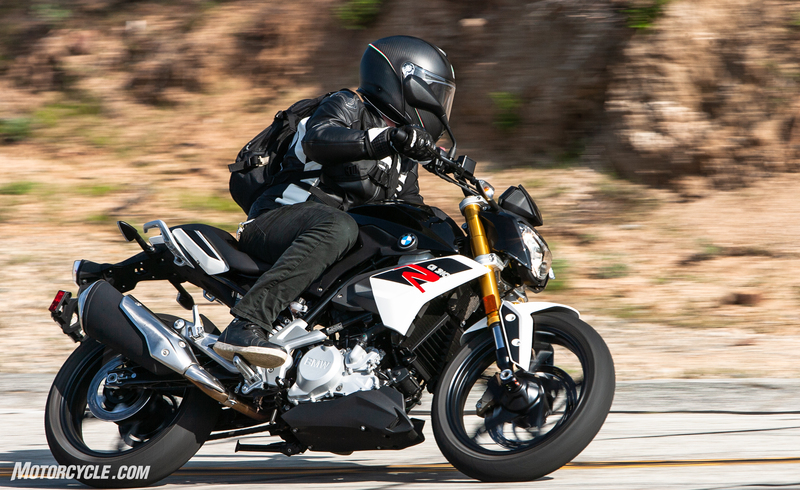 If you’ve always fancied owning a BMW (car or motorcycle) but believed they were out of your price range, allow the G310R to change your mind. This fun little roadster is powered by a 313cc Single and is delivered with the fit and finish we’ve come to expect from a premium brand like BMW – all for under five large. An inverted fork and Brembo-designed brakes are items even some big bikes lack, and having that BMW logo on the tank is sure to inspire at least a little pride in ownership. If more adventure-type riding is your thing, the G310GS is largely the same basic package with a more off-road tilt. However, it’s $5695 price tag disqualifies it from this list. For the longest time, the two choices you had when it came to entry-level motorcycles were the original Kawasaki Ninja 250 (or EX250 for the purists) and the Honda Rebel. Both might have looked attractive when they were new (though that’s also debatable), but after two decades new riders wanted to graduate out of those ugly bikes as soon as possible. With the 2019 Honda CB300R, the Neo Sports Cafe styling (Honda’s term, not ours) looks sharp and modern. To us, it’s a motorcycle design that will easily hold up to the next five or ten years. Its 286cc Single might feel anemic to heavier or experienced riders, but its featherlight curb weight hovering just over 300 lbs means the little engine isn’t pushing much. 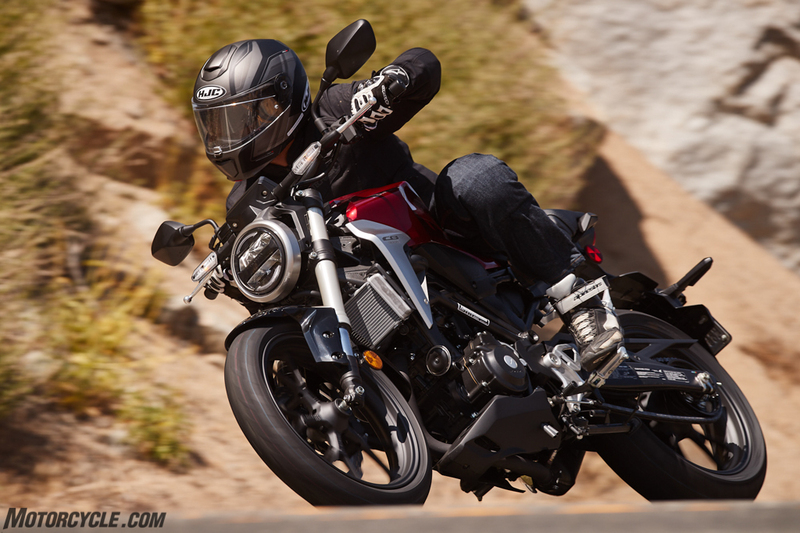 If the CB300R doesn’t catch your fancy, Honda has other variants all worthy of this list, like the CBR300R ($4699), CB300F ($4349), and even the Honda Rebel 300 ($4449) for those wanting a cruiser and who value being able to customize to their heart’s content. Long story short, for under $5000 it doesn’t get much better than the Kawasaki Ninja 400. Technically you would need to get the non-ABS version to qualify for the sub-$5000 prize, but we’ve heard from actual owners who have told us they were able to walk out of the dealership floor with an ABS model for under $5k. 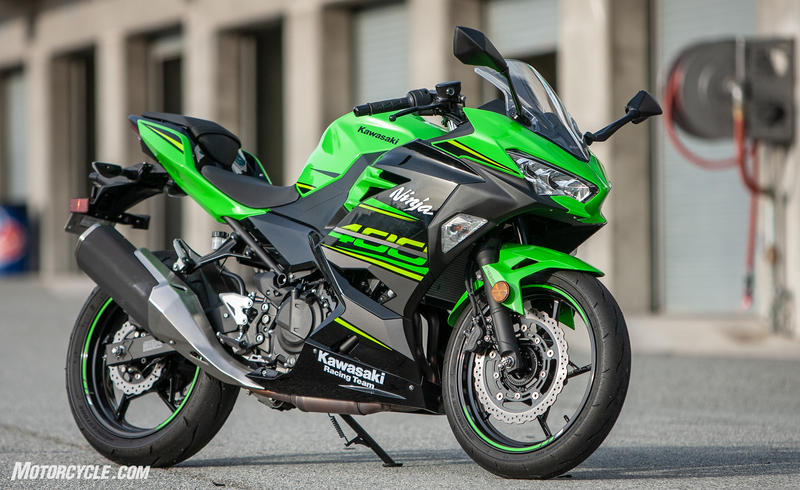 Either way, we’re smitten with the Ninja 400. How Kawasaki are able to produce such a potent and fun small-displacement motorcycle for this price point is beyond us. What we do know is the 399cc parallel-Twin has enough power to keep experienced riders entertained, but it’s gentle enough not to scare newbs. 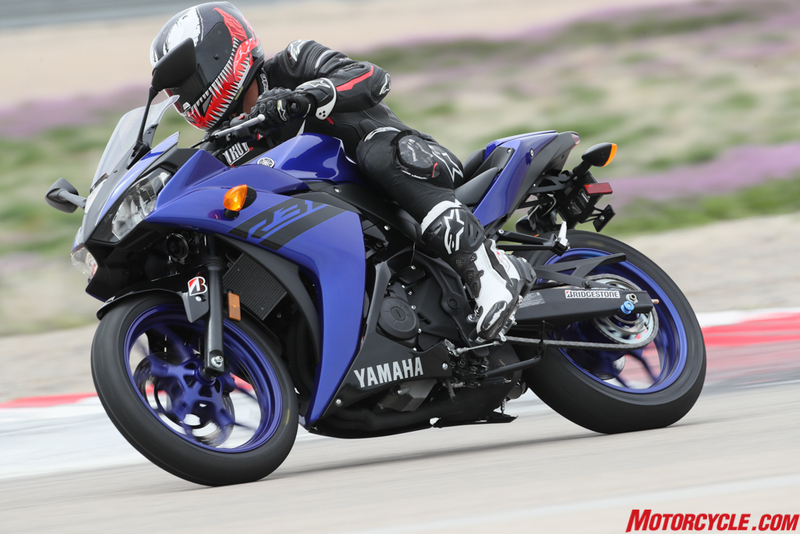 New riders will also be happy to know it’s easy to touch the ground from the saddle, and all the traits we said the Yamaha R3 excels at, the Ninja 400 does even better. It’s crazy how good this motorcycle is. Whittling down this list to just five bikes was difficult, especially because there are some models that are a hair above the $5k threshold. Not mentioning them wouldn’t be fair, so in case you’re curious, here are three that almost made the cut. 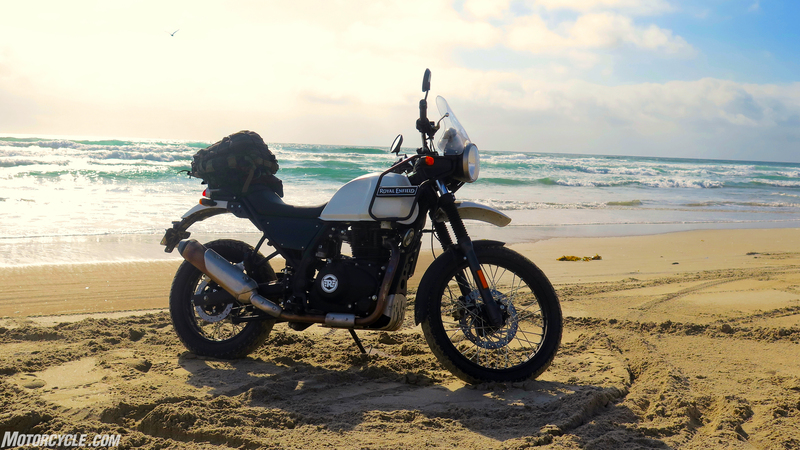 Technically, at $4499, the Royal Enfield Himalayan qualifies for this list. When Burns, Brent, and Ryan rode the RE down to Mexico and back they were pleasantly surprised by the Indian bike’s performance. At 411cc, the Single cylinder in the Himalayan is the largest here, but it’s still a bit antiquated compared to the rest. That said, it wasn’t much of an underdog during our Three Amigos test. Its biggest issue, however, is a faulty transmission that refused to engage first gear by the end of the trip. Those kinds of reliability concerns are a big setback, and ultimately kept the Himalayan off our list. However, if you’re handy with a set of tools and want something completely different in the little adventure bike category, the RE is an option. 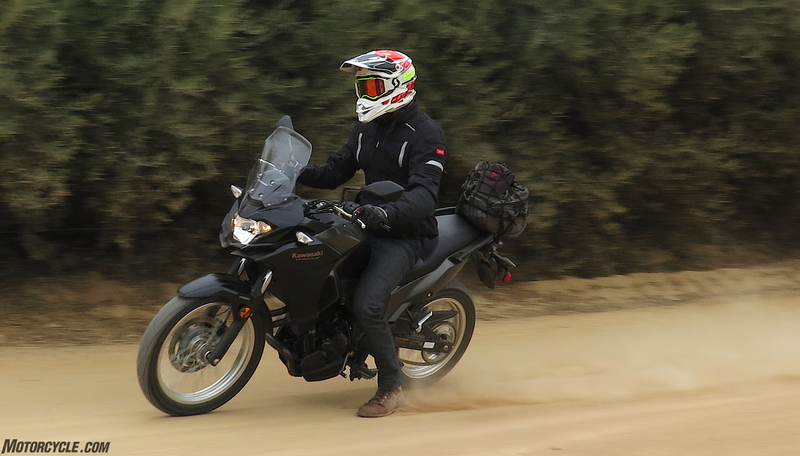 The winner of our Three Amigos adventure bike test, the Kawasaki Versys-X 300 comes in above our price cutoff, but is worth mentioning if you’re able to spend a little more and want something off-road capable. It’s a shame the Ninja 400 engine doesn’t power the X (though we can’t imagine it’ll be that way for long), but the prior Ninja 300 Twin performs admirably pushing bike and rider along. It’s got the fine fit and finish we expect from Kawasaki, and bigger/taller riders should also feel right at home on it. This one was particularly hard to keep off the list, but the rules are the rules, and the KTM 390 Duke’s $5299 asking price was too much. That said, we adore the 390 Duke equally as much as the Ninja 400. If a sportbike isn’t your thing, the 390 Duke is a fantastic alternative. Its styling looks great and is matched by an equally responsive chassis/suspension combination. Niceties like ride-by-wire and full TFT display are simply things you don’t see in this price range, so its inclusion on the KTM is impressive. The 373cc Thumper is a fun and lively engine, though we’re still leery about its reliability. KTM is said to have addressed the issues related to the engine, and trusted sources we know claim the updates aren’t just fluff. 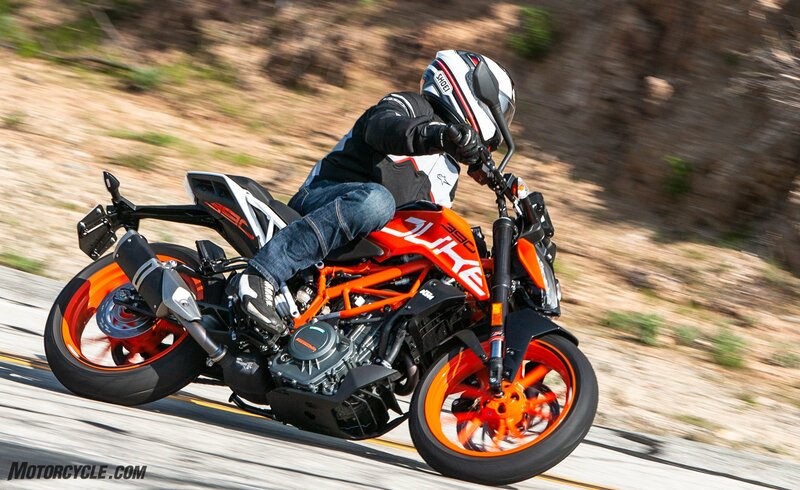 If true, we’d rate the 390 Duke as tied with the Ninja 400 as our dual favorite motorcycles in the sub-$5500 category. Over the course of a loan, $300 extra is basically nothing.